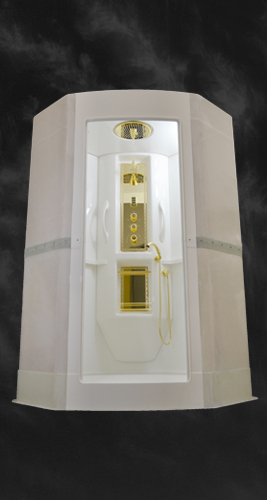 JBRND manufactures custom, luxury certified showers for aircraft of all sizes, in all types of finishes and configurations. 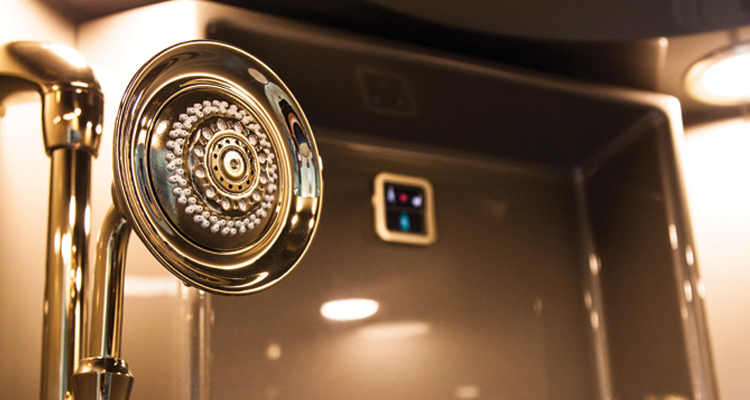 We offer turnkey shower solutions for a wide range of aircraft from Gulfstream jets to Dreamliners. 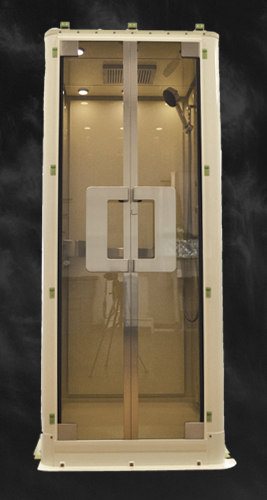 Our showers are made from high-strength, lightweight, fiberglass laminates that meet the latest interior certification standards. Aircraft showers at JBRND are made from high-strength lightweight fiberglass laminates that meet the latest interior certification standards. 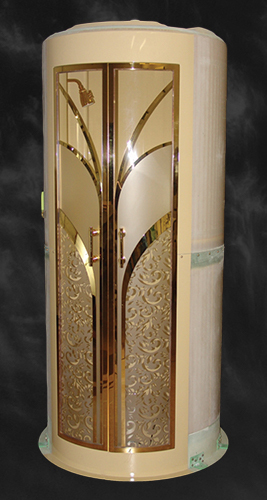 Custom formed construction allows for different shapes ranging from round, square, d-shaped and other configurations. JBRND showers are painted and clear coated with a high quality polyurethane paint. The shower doors can be frosted with custom artwork patterns to match the aircraft’s decor. JBRND also offers a number of accessories for aircraft showers. These accessories include IR Sensors, LED Lighting, custom valve plate designs, information signs (Return to Seat and Oxygen signs), and water tank systems. You’re not going to find a higher quality aircraft shower anywhere in the world. 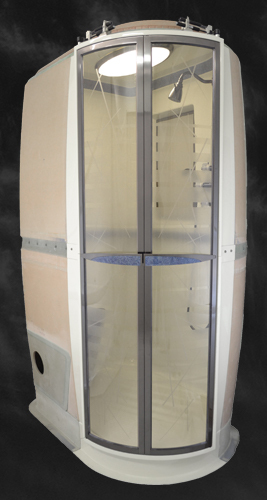 Take a look at some of the showers we’ve built for aircraft below. 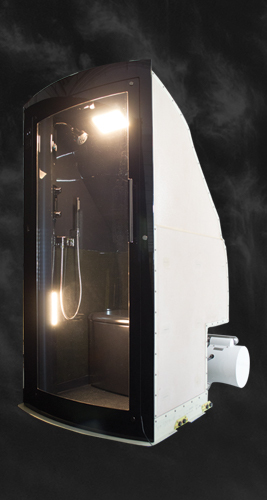 If you’re looking to have a shower built for your aircraft or for multiple aircraft, contact JBRND today. 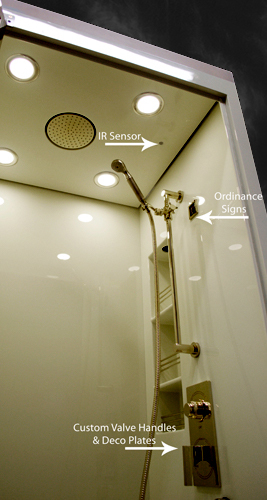 Detachable Shower Head – Waterproof LED Lights – IR Sensors (for auto on/off lights) – Water Remaining LED Indicators – Info/Ordinance Sign – Frosted & Etched Doors – The options go on and on. 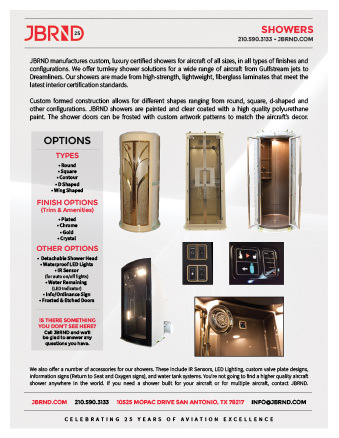 Get the JBRND brochure for our shower products. The brochure is one page, in PDF format, ready for printing. If you are interested in any other JBRND brochures, make sure to visit our Downloads Section, where there are many others available. As always, just get in touch if you have questions. JBRND has completed many showers for all size aircraft. We'll be happy to get you a quote for your headliner kit and more. Get in touch with JBRND today to see what we can do for your project.